UDM Downloads > Memory Card Data Recovery! 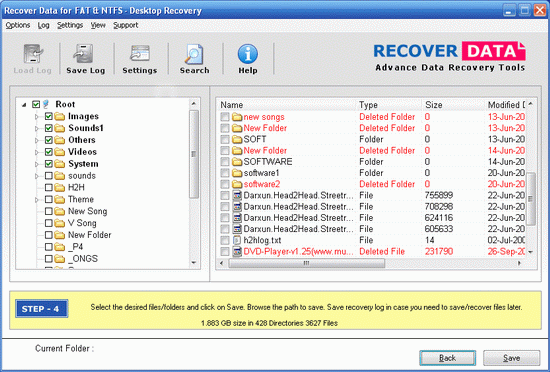 Recover Data for Windows Data Recovery Software is fully compatible to recover memory card data easily and securely. Software having very attractive and more effective data recovery featuresn to quickly find deleted data from Memory card. Recover Data for Memory Card is more powerful, result oriented and cost effective Micro SD/MMC memory card files retrieval utility that helps in restoration of inaccessible, corrupted SD, XD, MMC memory card files/folders/picture/images. Multimedia memory card deleted data restoration software supports prevention of songs, 3gp, mp3, avi, wav, audio video music files from all type of storage card device. Memory card data rescue software can retrieve and restore all damaged, formatted clips, photos like JPEG, JPG, PNG, BMP, GIF, TIFF and RIFF from compact flash, SD, XD and MMC memory card. Memory card data recovery software provides whole data retrieval solution or recovers deleted backup files directories and supports all formats of images, audio-video and pictures. Memory card undelete tool retrieve formatted compact flash card of digital camera and mobile phones. Secure XD/SD/MMC flash memory card data recovery program is non-destructive and read only utility. Memory card data recovery tool is compatible with all windows operating system such as windows 98, XP, ME, NT, 2000, Server 2003, XP and Windows Vista. Memory card recovery utility helpful for preventing data files from lost or damaged micro memory card device. Software supports all type of Digital storage media including Acer, Aiptek, BenQ, Canon, Casio, Digital Dream, Fujifilm, HP, Jenoptik, Kodak, Konica, inolta, Lumicron, Olympus, Panasonic, Pentax, Philips, Praktica, Relisys, Ricoh, Samsung, Sanyo, Sony, Umax, Vivitar and Yakumo.